In the world of digital marketing, specifically the world of digital marketing agencies, it is very important to be able to position yourself as a thought-leader and expert for any client that you are marketing for. In order to better understand how to get to that point, following industry trends and current leaders is paramount. Whether you are writing email content for your tech client or creating social publishing strategy for the mom and pop shop down the street, having a finger on the pulse of that industry as well as an understanding of current marketing best practices and trends can set you apart from the competition. To help you find the right people to follow I have put together a list of the top 3 influencers to follow on social media for email marketing, social media marketing, content marketing, and SEO. Having done email strategy work for big brands such as eBay, Tommy Hilfiger, and Facebook, it is clear to see that Kathy Pay has established herself as one of the leaders in email marketing. She was named one of the world’s Top 50 Email marketing Influencers by Vocus in 2014 and works as an international speaker in her spare time when she is not leading training for Advanced Email marketing at Econsultancy. Chris is a thought leader and expert when it comes to email security and privacy. He is a consultant and speaker with a vast range of topics for his discussions. His motivation is to share his knowledge regularly to push the industry forward and continue his legacy as an industry leader. As the CEO at Inbox pros, he and his team have developed a blog that is a must follow as a resource for tips on deliverability, security, and privacy. Bill has been dubbed “the Godfather of email marketing” and I’m not going to argue that. He is the founder of Only Influencer, which is an organization that brings together the world’s top thought leaders and influencers to host meet ups, group discussions and produce blogs. 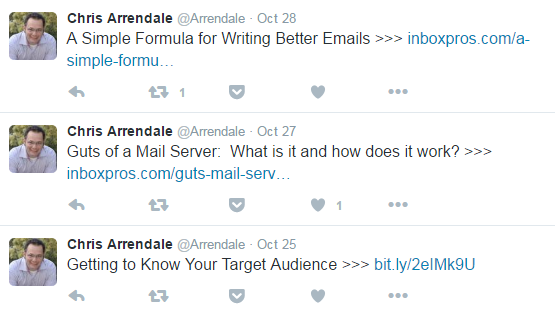 Following his twitter feed is a must as he shares a wealth of knowledge with industry trends and email marketing tips. Neal is a leader in helping businesses and professionals maximize their social efforts. He speaks at over 40 events per year and is in the process of creating The Social Media Center of Excellence which will be a source for all social media professionals with live events and planned discussions. Neal is one of the Top Social Media thought leaders in the world and his twitter feed is a great source for industry trends and social media marketing tips. As the Founder of the Social Media Examiner and Social Media Marketing world, Michael has long been known as an industry leader and social influencer. He is an expert in social media marketing strategy and is known for his detailed work and copyrighting expertise. Michael also leads discussions and summits for social media marketing professionals. Jeff is considered a master of social strategy and brand development. His career has been about helping businesses and personal brands with digital marketing efforts in social media with blogging, various social channels, and SEO. As with most of the top influencers on this list, he is a frequent keynote speaker and is also a best-selling author. 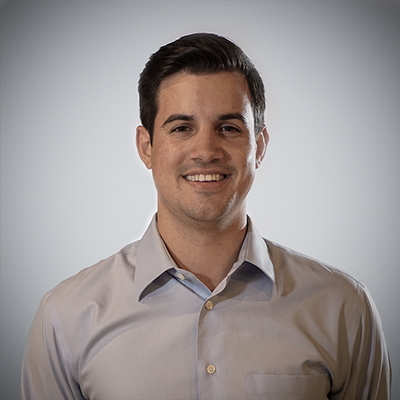 Helping companies create better content with the purpose of growing profits is why Joe has positioned himself as a leader in content marketing. Most notably he is the founder of The Content Marketing Institute which is a one-stop shop for content marketers to reference best practices, industry trends, and advance the practice of content marketing. As the CEO of Marketing Insider Group, Michael and his team of world-class marketing consultants provide marketing strategy, content development, training and education to business and individuals who are looking to take their content marketing to the next level. His philosophies center around business development and growth through marketing strategy. Sujan is an avid writer and his data-driven approach to marketing strategy has helped him to regularly be published in large publications like Forbes, WSJ, Inc and Entrepreneur Magazine. In his 13 year career, he has helped hundreds of companies boost their traffic and sales. Neil is the brains behind the operations at Crazy Egg and Hello Bar. He is an analytics junkie and has positioned himself as one of the top SEO specialists in the world. He focuses on increased traffic, visitor to customer conversions, organic social traffic and link building. His twitter feed is full of great industry news and SEO tips. 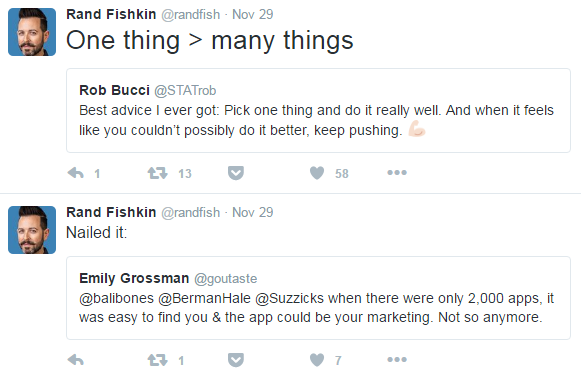 Rand was the CEO of Moz, which he co-founded, from 2007-2014. He is now a contributor to the company along with being known as the Top SEO influencer in the world. His twitter feed is, which he posts to roughly 30-40 times per week, a haven for SEO and marketing strategy trends. He is a publish best-selling author as well. Matt started his career as a software engineer with Google in 2000. Since then he has become a leader in SEO strategy and was promoted to be the head of Google's Webspam team. He is an avid blogger and was the lead engineer in developing the first version of SafeSearch for Google. This is just the tip of the proverbial iceberg when it comes to social influences in our digital age. The biggest takeaway that I understood from this research is that becoming an industry influencer isn't just about being an expert in your practice. It's more about how you push your content and how you build your network. All of the people that I outlined above, have used their own and other's social strategy best practices to build their own brand and get to where they are today.